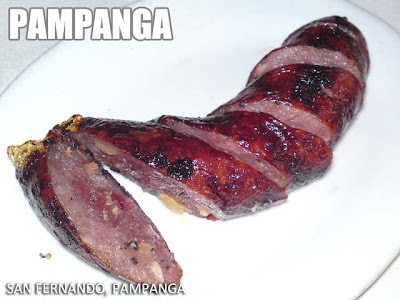 Pampanga longanizas have become so popular because of the many commercial brands available in the market. But would be interesting to investigate the traditional varieties of longaniza in the province. In San Fernando, Everybody's Cafe still makes San Fernando longaniza the same way they did in San Fernando decades ago. The San Fernando longaniza would fall under the hamonado category and is not as sweet as the commercial brands but sweet nonetheless, and garlicky (or mabawang). Notice the reddish color of the longaniza when cooked. 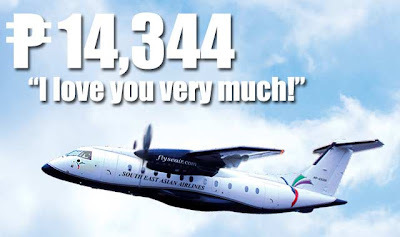 Talk about being literal for Valentine's Day with SEAIR's P14,344 promo! With the "I love you very much" rate, you can get round-trip tickets from Manila to Boracay or Busuanga at "Buy 1, Take 2" or Manila to Batanes at "Buy 1, Take 1." This great deal will be available only at the 16th Travel Tour Expo from February 6 to 8 at SEAIR Booths 85 & 95, SMX Convention Center, SM Mall of Asia Complex. For inquiries and reservations, please call SEAIR at (632)8490100. For packages please call SEAIR Leisure Escape Packages at (632) 8437308. 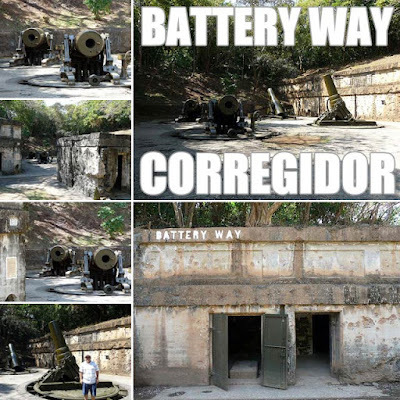 Ever since my first visit to Corregidor Island, I've been fascinated by the island's many artillery batteries. 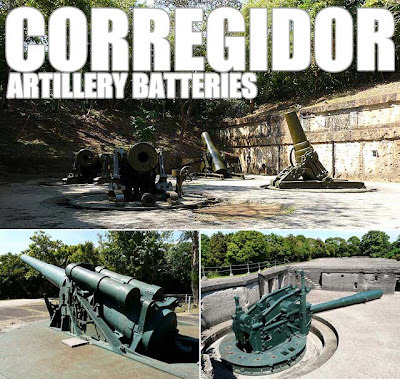 The U.S. Army post on Corregidor was named Fort Mills. The surrounding islands also had artillery batteries as well as Grande Island, which was Fort Wint, in Subic Bay. 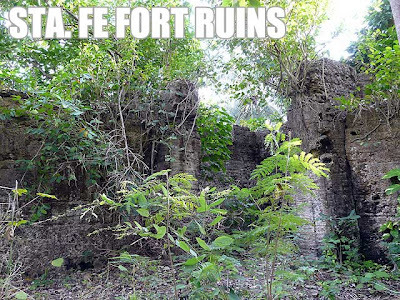 On Caballo Island was Fort Hughes, El Fraile was Fort Drum, and on Carabao Island was Fort Frank. 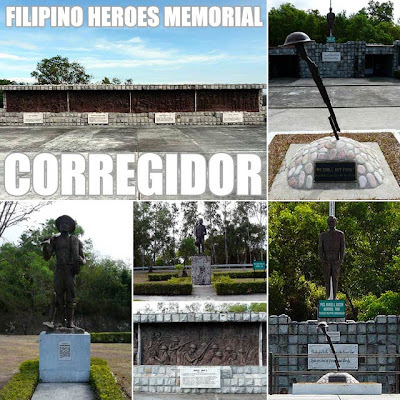 During a day-trip to Corregidor, you only get to visit three of them as part of the island tour. But if you want to see more of them, you'll have to stay overnight on the island. 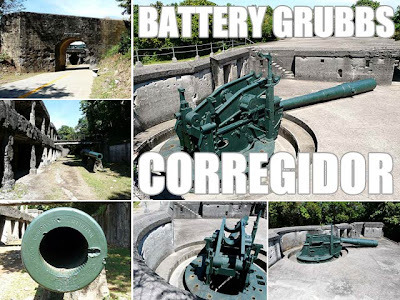 It looks like documenting these Corregidor batteries will be another project. I heard however that many of the coastal batteries no longer have guns. They were stolen and sold for scrap some decades ago. It's really sad. 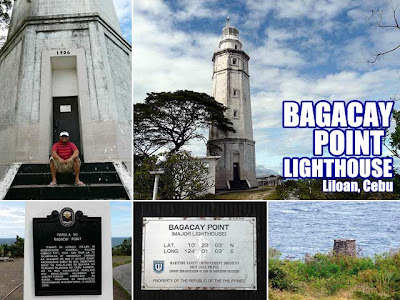 Corregidor Island is a day trip from Manila which many people take for granted. This former military fortress city devastated during the Second World War stands as a silent witness the brutalities of war. Today it is a monument to the gallantry of our soldiers. I made another trip to the island today via Sun Cruises which leaves the CCP Complex every morning. The first time I went to Corregidor was way back in high school more than ten years ago, also on Sun Cruises. They have day tour packages which include the catamaran ride to and from Corregidor, tram tour around the island and buffet lunch. 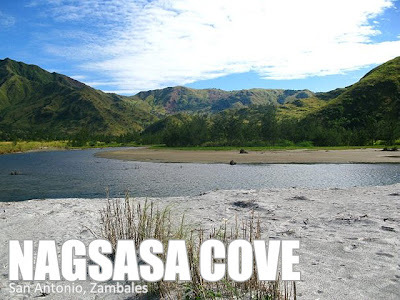 Although closer to Bataan, the island is part of Cavite City. 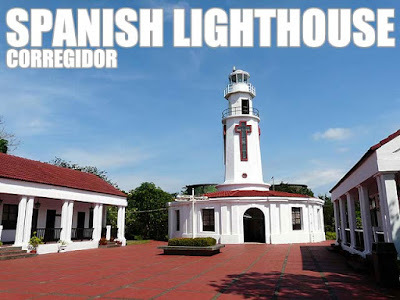 Under the Spanish, Corregidor was a fortress, a penal institution, a signal outpost to warn Manila of hostile ships, and a station for Customs inspection. 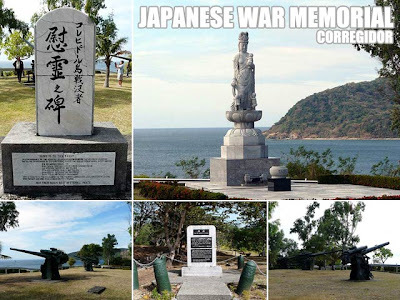 Hence the name Isla de Corregidor (Island of Correction) from the Spanish corregir, meaning to correct. All ships entering Manila Bay were required to stop and have their documents checked and corrected says one account. Another account mentions it got its name because of the correctional facilities. During the American period, living in Corregidor was the life for any American or Filipino soldier. It had everything one could find in a city including two cinemas and other entertainment, ample lodging for thousands of GIs including the longest barracks in the world at the time it was built, a commisary, and even taxi and tram services! In fact, it was a prized piece of real estate. Take note! The U.S. Government had spent more than 150 million dollars for the defense installations on the island which is five times the 2009 national budget in nominal terms! Before the war, 7.5 trillion pesos was inconceivable! And sadly, everything was destroyed during the war. But what remains today is most definitely worth visiting. As soon as we arrived at the dock after that one hour ferry ride, we boarded tram buses which would take us around the island. Each bus goes to a different location so that there are not too many people in each stop. Our bus first went to the Filipino Heroes Memorial where statues of Manuel L. Quezon and Sergio Osmena stand together with monuments to Filipino guerillas, the Filipino woman, and a several bas relief tableaus of important revolts from the Battle of Mactan to EDSA 1986. Our next stop was the Japanese War Memorial which serves as a memorial to the lives lost on the Japanese side. Our guide was really good and I most definitely enjoyed all his stories. But I didn't appreciate him claiming that the statue of Guan Yin (Kannon to the Japanese) is a composite of the Virgin Mary and Budhha. Misinformed visitors might just believe that the statue of the Goddess of Mercy is indeed that. Front there we trooped the the light and sound show at the Malinta Tunnel, the script of which was written by National Artist Lamberto Avellana. The sculptures were rendered by National Artist Napoleon Abueva. This is an optional part of the tour and you'll have to buy tickets for PHP150. 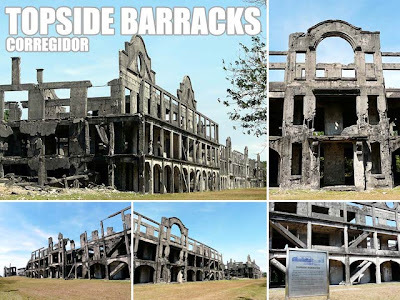 But it is highly-recommended if you want to learn more about Corregidor during World War II. It took ten years to complete Malinta Tunnel (from 1922 to 1932), which got its name from the abundance linta (leeches) that plagued the workers that built it. It had been dug through solid rock and offered complete protection from attacks. 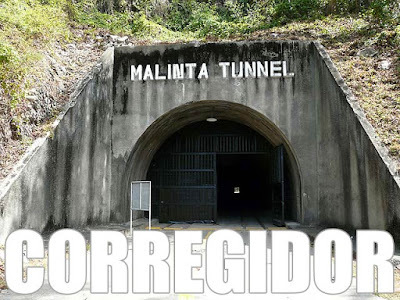 During the siege of Corregidor, Gen. Douglas MacArthur set up the headquarters of USAFFE inside the tunnel. It was also the seat of Philippine Commonwealth under President Quezon. It was there, on December 30, 1941, that President Quezon and Vice President Osmena were inaugurated into their second terms. At the end of the show, the Philippine National Anthem is played. Guides should remind visitors of the solemnity of this part of the show. I was irritated that people kept on snapping photos of the Philippine flag while the anthem was playing. They could have done it after. Anyway, after the Malinta Experience, we proceeded to the Corregidor Hotel for our buffet lunch. After lunch, we visited three military batteries. A battery in military terms refers to a group of guns placed together in a given area. Among the most popular and most-visited are Battery Way, Battery Hearn and Battery Grubbs. 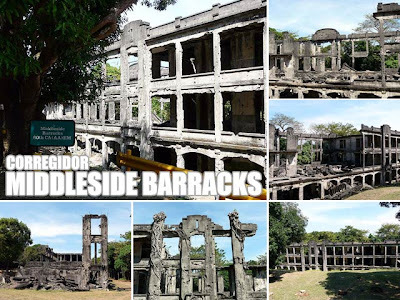 We also got to drive by the ruins of the Middleside Barracks, the Corregidor Hospital and the Topside Barracks (said to be the longest military barracks in the world at the time it was built) before proceeding to the reconstructed Spanish Lighthouse. 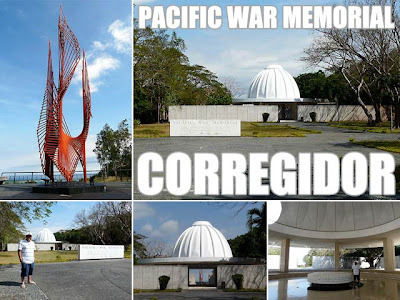 Another important attraction of Corregidor is the Pacific War Memorial. 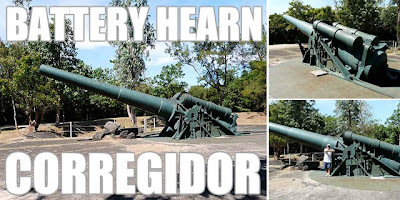 It was built on the highest part of Corregidor's west side to honor both Filipino and American soldiers who fought during the Second World War. Completed in 1968, the memorial cost three million dollars to build. 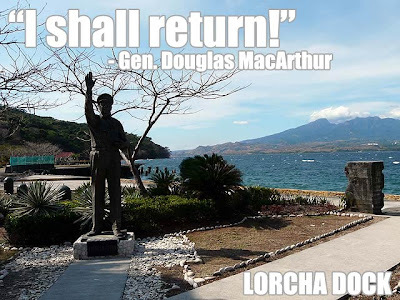 Our last stop before boarding the ferry was Lorcha Dock from which Gen. MacArthur left for Australia. A statue of MacArthur stands at the dock reminding us of that momentous day in history. And no, he did not utter the famous words "I shall return!" from there. He said those words in Australia. The day trip to Corregidor is really convenient. And you'll be back in Manila just in time to savor the famous Manila Bay sunset! But I'm definitely coming back for an overnight trip so that I could explore the many interesting sites outside the usual Corregidor tour. 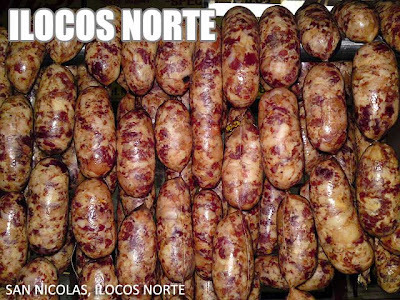 Lucban longaniza from the town of Lucban, Quezon is one of the more popular varieties of longaniza. It is said to be spiced with lots of oregano (either juice of fresh oregano or dried oregano leaves), paprika, and garlic, and its pork fat is chunky. Meat is coarsely-ground but chunks are not as large as Taal. It's on the sour side and falls into the derecado garlicky (or mabawang) category. 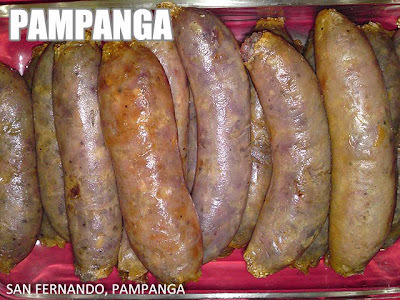 This longaniza was taken at one of the stalls during the annual Pahiyas Festival. 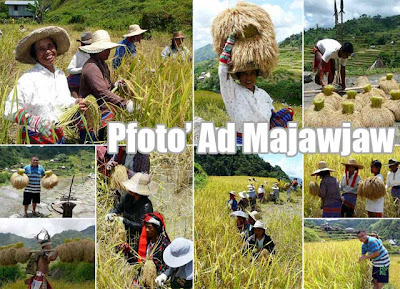 Due to insistent public demand, the Pochon Group is organizing another Pfukhay Ad Majawjaw Tour (rice planting in Mayoyao tour) from February 6 to 8, 2009 in Mayoyao, Ifugao. This is part of the group's advocacy to help maintain and preserve the cultural heritage of Ifugao, the rice terraces in particular. Part of the proceeds of the tour will go to the heritage trust fund that will help the people of Mayoyao safe-guard their indigenous culture. Florida Bus has a regular trip from Manila direct to Banaue. It leaves Sampaloc, Manila (Lacson St. cor. S. H. Loyola St.) at 10:45 p.m. Or you can take any bus that goes to Cagayan Valley and get off at Solano, Nueva Vizcaya where you can catch regular trips to Banaue and other towns in Ifugao. From Baguio, KMS Bus Lines and Ohayami Trans leave for Banaue at least twice daily. 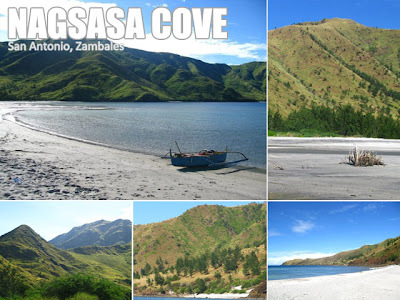 Take a bus from Manila to Santiago, Isabela (any bus to Cagayan or Isabela passes by Santiago). There are mini-buses from Santiago to Mayoyao which leave thrice daily at 6 a.m., 11a.m. and 3 p.m. From Banaue, there is one daily trip to Mayoyao from Solano which passes Banaue between 12 to 1 p.m.
Cavite: Ultimate Tagaytay Culinary Tour on February 28! Book now! Up, up to the highlands! Let's us savor a smorgasbord as we explore the best international kitchens in the coolest city south of Manila! From the best buko pie to the tastiest banh da lon, let us cruise along this city by the ridge, taking in her scenic views, mountain weather and best of all, indulging in her undiscovered culinary delights! More than the food, let us meet the people behind some of Tagaytay's most delicious dining establishments as we share the stories and behind the recipes. This is indeed a tour to nourish your stomach and spirit! The tour experience includes a visit to the Ilog Maria Honey Bee Farm, a Vietnamese lunch at Bawai Vietnamese Kitchen, desserts at Chateau Hestia European Garden Restaurant, Yoki's Treasures and the Hydrophonic Farm, and early dinner at Antonio's Dining. Tour fee is P3,800 per person inclusive of meals, transportation, and surprises. We're accepting a maximum of 20 people only. This is brought to you by Ultimate Philippines Tours. E-mail us at info@ivanhenares.com for information and bookings. Hot Air Balloon Fiesta tour on Valentine's Day! Book now! Slots on our Valentine's Day tour at the 14th Philippine International Hot Air Balloon Fiesta are going, going gone! We have five slots left out of thirty! So book now! As part of the tour, you'll have a sumptuous breakfast at C' Italian Dining, a hearty Kapampangan lunch at Abe's Farm and optional spa treatments at Nurture Spa. Click here for more information. 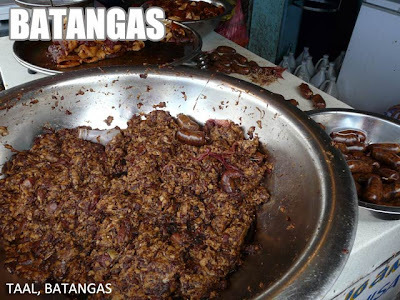 This Batangas longaniza is from a roadside stall along the National Highway in Taal, Batangas. The meat is flavored with adobo marinade and garlic. The meat is not finely-ground and contains chunks of fat. It is slightly salty and would fall into the deredaco garlicky (or mabawang) category. This is commonly sold with tapa in stalls in Taal. 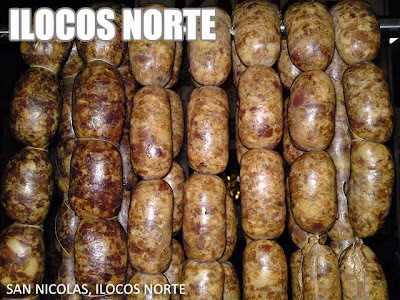 This Laoag longganisa is from the San Nicolas Public Market. The version is San Nicolas are said to be juicier (and more lethal) than the ones in Laoag itself since they contain more fat. These longganisas are finely-ground, on the salty side and fall in the derecado garlicky (or mabawang) category. Unlike the Vigan longganisa, Laoag has minimal vinegar or contains none at all. Longaniza or longganisa are chorizos flavored with local spices. 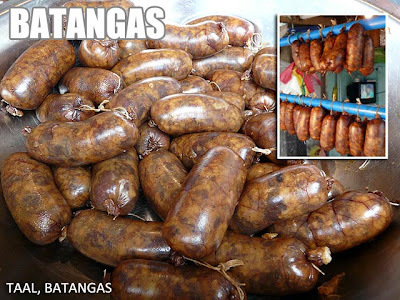 Each region in the Philippines produces its own longaniza, each with distinct characteristics. Some towns and cities produce popular varieties. Few people realize that longanizas are not only found in the Philippines. One can encounter them in Spain where they are originally from and other areas with Spanish influences such as Mexico and the rest of Latin America. Classic Spanish sausages include chorizos, longanizas, sobrasadas, morcillas, butiffaras, salchichas and salchichones. 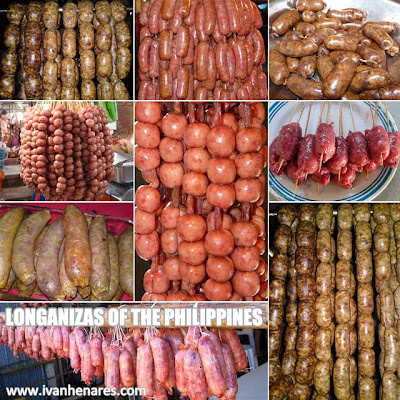 I've always wondered why native sausages made all over the Philippines are all called longaniza or longganisa when in most countries, sausages are given various names depending on the place of origin, ingredients and varieties. 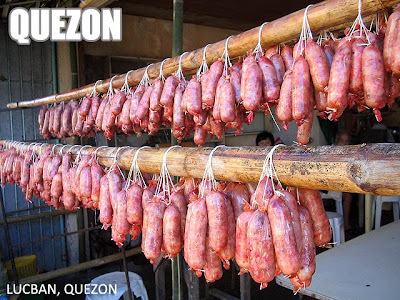 While longaniza is the name for native sausages in the Philippines, in some parts of the Visayas and Mindanao, choriso, soriso or tsoriso are more common terms. So I'm starting this series in the hopes of documenting the different varieties of longaniza. 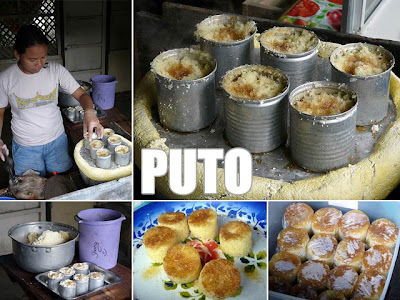 Most longganisas in the Philippines fall under two categories: hamonado (sweet or matamis) and derecado (garlicky or mabawang, sour and/or salty). Do check this entry regularly since I will be updating it and placing the hyperlinks as I upload new posts. Here is the schedule of Philippine holidays and long-weekends for 2009 based on RA 9492 and Proclamation 1699, as well as a recent executive order declaring the two-day Eid al-Adha as national holidays. Check out Philippine holidays and long-weekend schedule for 2010. Vaccines for travelers have become all the more important with so many nasty bugs and other communicable diseases out there. Last year I was downed by the flu virus (said to be extra nasty in 2008) for almost two weeks! So this year, I decided to get the proper immunization to prevent these inconveniences. In fact, there are several recommended vaccines for frequent travelers. 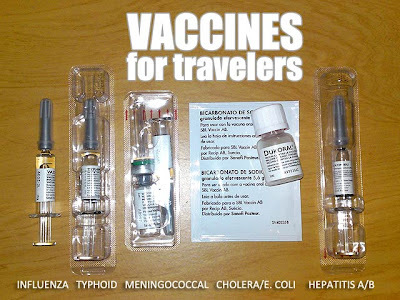 But of course, these vaccines are not just beneficial for travelers but everyone in general. Influenza, commonly called the flu or trangkaso, is a contagious viral disease. Vaccination for influenza should be done annually since the different strains mutate regularly. Remember that flu vaccines are valid only for the year they are released. So as soon as the latest annual flu vaccine is out, even if you just got vaccinated a few months back, you'll need to go back to your doctor for the new shots. The best time to get the flu vaccine is between February to June to prepare for the rainy season and cold months which is flu season. Typhoid fever or typhoid is caused by the bacterium Salmonella enterica serovar Typhi. If you're a fan of street food, the typhoid vaccine is for you. It is transmitted by the ingestion of food or water contaminated with the bacteria. Typhoid is characterized by a sustained fever as high as 40 °C, profuse sweating, gastroenteritis, and non-bloody diarrhea. Typhoid is strongly endemic in the Philippines meaning it's very common here. Meningococcal disease is a serious illness caused by a viral or bacterial infection. The bacteria are spread through the exchange of respiratory and throat secretions (i.e. coughing, kissing). Meningitis is an infection of fluid surrounding the brain and the spinal cord. Meningococcal vaccine is sometimes required for college freshmen living in dormitories in the U.S. as well as U.S. military recruits. It's recommended for travelers, especially backpackers, who frequent dormitories and hostels or common places in general such as congested markets and crowded areas, especially in South America and Sub-Saharan Africa. Cholera is an infectious gastroenteritis caused by the bacterium Vibrio cholerae. Just like typhoid, transmission happens through eating food or drinking water contaminated with the bacteria. So again, if you're visiting a country known to have cholera and can't live without trying the local food, then make sure you get shots. Incidences of cholera increase as a result of floods. Hepatitis A is an acute infectious disease of the liver caused by the Hepatitis A virus. Another virus commonly transmitted by ingestion of contaminated food or drinking water, vaccine is a must for frequent travelers. Update (03/18/2013): Here is information on yellow fever vaccination. Here in the Philippines, there are clinics which specialize in preventive medicine. This afternoon, I was at Immunizers, a medical clinic for vaccination services, to get my flu shots. I also had a blood test to determine whether I still need vaccination for Hepatitis and I'll know the results tomorrow. If you're a frequent traveler, it might be convenient for you to get vaccinated. It's better to be safe than sorry while on a trip. Always remember that an ounce of prevention is worth a pound of cure. 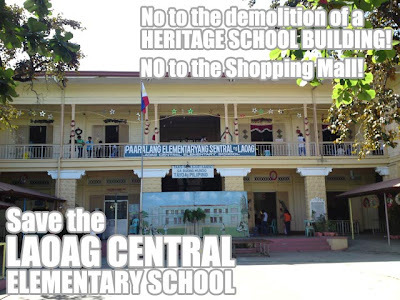 The fight to preserve the Laoag Central Elementary School continues! For background information, please read Save the Laoag Central Elementary School. Below is the statement of the Heritage Conservation Society on the issue. It is sad to note that as the Philippines strives to move forward into the new millennium, we have forgotten to understand the true meaning and value of what makes us a people, a nation, and a country as a whole. The random destruction and desecration of our historic sites manifests total disregard for the past, the contributions of our forefathers, and the collective suffering of our people. This is true particularly in the unwarranted need to promote growth through the demolition of historic sites and structures for what is today perceived as the most needed infrastructure project around, the shopping mall. 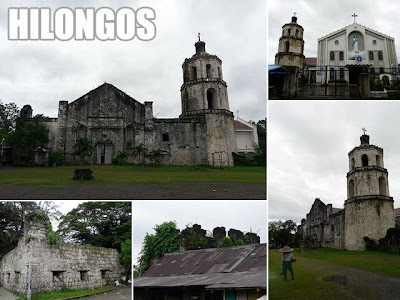 The historic city of Laoag, Ilocos Norte is one case in point. The Laoag Central Elementary School, built in 1929, is a fine example of educational architecture designed to provide first class instruction even in the farthest reaches of our archipelago. Designed in accordance to the Gabaldon Law (which stipulated that education is for all thus necessitating the construction of school buildings far and wide), these centers of education and the symbolism architecture they provide have shaped, molded and inspired generations upon generations of Filipinos. 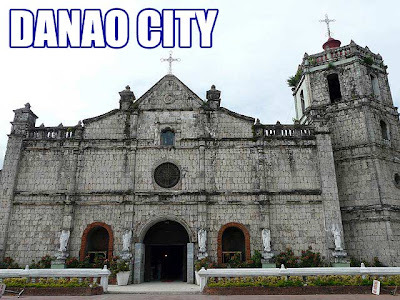 For a building, historic in its significance in the annals of Ilocos history if not Filipino history, its unwarranted destruction and conversion into another center of consumerism is another sign of our low regard for our rich cultural past. Some sectors claim that the building and its grounds are ripe for development. Sitting right smack in the center of Laoag, indeed the site is prime real estate. 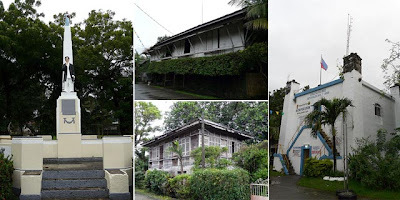 But its building, particularly its main administrative structure, needs to be preserved, conserved and above all saved from the wrecking balls of greed. Even though the building is not yet listed by the National Historical Institute as historic, it is historic no doubt. 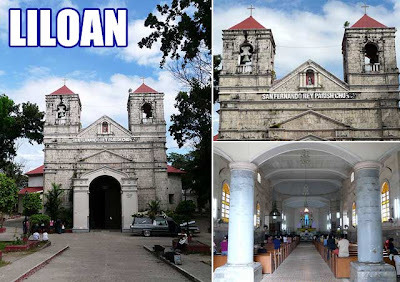 It is expected of the people of Laoag, Ilocos Norte and the Filipino nation as a whole to preserve the fast dwindling historical buildings still standing. Heritage is defined not solely as a structure with an official plaque as designated by these government agencies. Heritage is the heart and soul of a people, community, and nation. Heritage embraces the memories of the past. Heritage gives identity to a people, city, place, and country. As such, heritage is rendered with age, grace, beauty, nobility, significance and above all, love. For if we love our country, then we should love the vestiges of what this country stands for. That this historic structure should be demolished for yet another shopping mall, is a complete insult and disregard for love of country. 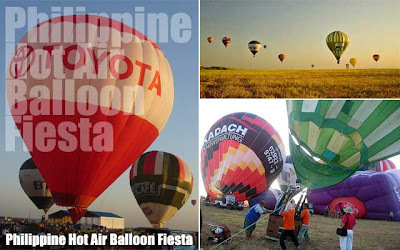 Pampanga: Hot Air Balloon Fiesta tour on Valentine's Day! Book now! After last year's successful run of Up, up and away! Huffing, puffing and pumping in Pampanga, we're at it again. It's another ultimate experience on February 14, 2009 as we romance up for Valentine's Day and be amazed by the high and mighty in Pampanga! Gawk at the giant hot air balloons of the 14th Philippine International Hot Air Balloon Festival! Savor the delights of an authentic Italian breakfast at the best cafe this side of Clark. 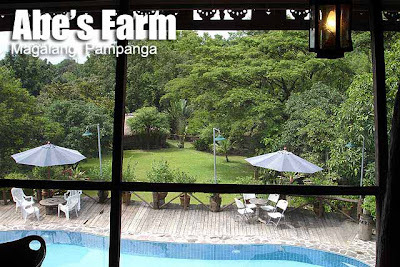 Finally, we'll while away the afternoon in a soothing retreat while stuffing ourselves silly over a sumptuous Kapampangan feast at rustic farm setting! A feast for the body, mind and soul! This tour leaves Makati at 3 a.m. and includes entrance to the 14th Philippine International Hot Air Balloon Fiesta, a sumptuous breakfast by Chef Chris Locher at C' Italian Dining (they don't usually open for breakfast but made an exception for this tour), and a hearty Kapampangan lunch at Abe's Farm owned by the LJC Group of Cafe Adriatico. Package price is PHP4,500 all inclusive. Only 30 slots are available on the tour on a first-come first-served basis. E-mail info@ivanhenares.com for bookings. Spa treatments at Nurture Spa Pampanga are optional but highly-recommended! We'll e-mail you the Nurture Spa menu of services and price list if you are interested. Treatments have to be pre-booked due to the number of tour participants. Oh yes, its that time of the year again when we BINGE ourselves silly as we welcome the Lunar New Year with a BIG, BIG BITE! It's the BEST time of the year to do the BIG Binondo Food WOK as we say goodbye to a RATTY year and welcome the YEAR of the OX! COWabunga! Take a WOK with us! Tour dates are on January 24, 2009, Saturday (8 a.m. & 2 p.m.) and January 25, 2009, Sunday (8 a.m. & 2 p.m.). Chinese New Year this year falls on January 26, 2009. Rate is P999.00 per head inclusive of tasting menu. Limited slots and reservations required. Details at (0917) 3291622 or fun@oldmanilawalks.com. I joined the tour in 2007. 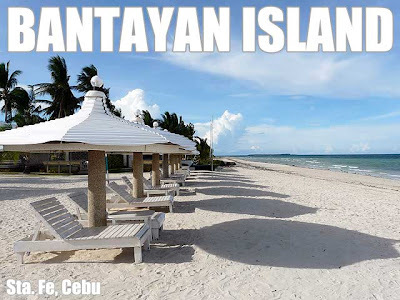 Cebu: Bantayan Island, Cebu is rich in heritage and great beaches! Bantayan Island has always been on my wish list. So I made sure to visit the island when I found out I was going to Cebu. As soon as the conference was over, we rushed to the North Bus Terminal in Mandaue to catch a ride to Hagnaya Port in San Remigio. Take note that Metro Cebu had two bus terminals and the North Bus Terminal services the towns and cities north of Metro Cebu. The bus ride was three hours and we got a preview of some old churches along the way which we planned to stop by on the way back. From Hagnaya, you could easily purchase a ferry ticket to Sta. Fe town on Bantayan Island where most of the beach resorts are located. The ferry ride was a little over an hour. Take note that prices of tickets vary depending on whether the competing ferry company also has a trip at the same time. If there are competing trips, prices are slashed by as much as half! Anyway, when we got there, there were a lot of agents touting the available resorts. We chose the resort nearest to the port which was the Sta. Fe Beach Club, so that we did not have to rush the next day if anything happened. I was surprised they accepted credit card payments. As soon as we dropped our bags in our rooms, we rushed to make a round of the island before sundown. We had arranged for a habal-habal to take us around and went straight to our first stop, the ruins of an old fort in Sta. Fe. Unless you are really interested in these old fortifications, there's nothing much to see and not worth the stop for now. 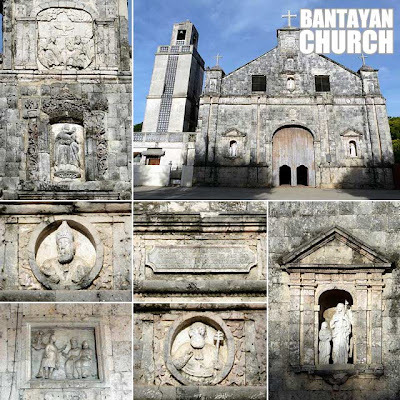 From there, we sped off to Bantayan town where an old church still stands. 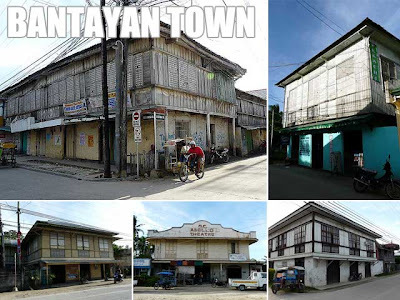 We were pleasantly surprised that there were a lot of old structures all over the town despite a big fire in the 1970s which wiped-out a lot of Banatayan's old houses. The Bantayan Church itself was amazing! The bas-reliefs on the exterior and interior of the church were very intricate. So I made sure to walk around and appreciate these works of art. 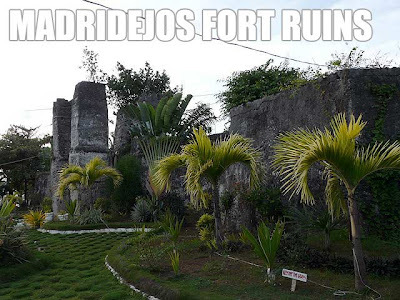 We made one last stop in Madridejos where there is another ruined fort. But again, if you're not into fortifications, it's not worth it since Madridejos is really far. 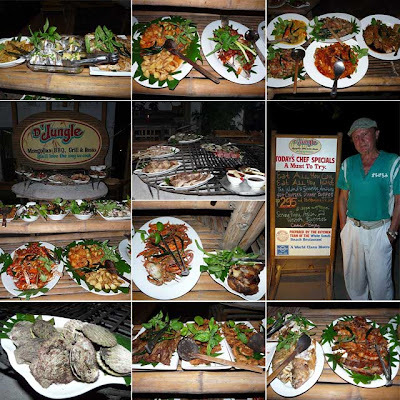 We were advised to have dinner at this restaurant called D'Jungle where they serve sumptuous buffets every Friday and Saturday. When we got there, we were in food heaven! They have more than fifty dishes in their buffet spread which included a wide variety of seafood, meats and greens cooked in various styles. At PHP295 per head which includes bottomless iced tea, how could you go wrong? It’s most definitely worth it to come back to Bantayan if only for this buffet. The next morning, the weather was not good. So I decided to cancel my trip to the caves and Kota Beach Resort and went back to bed. We had to leave the island early since our next overnight would be in Carcar, Cebu on the opposite side end of Cebu! Yesterday, despite it being a relatively sunny day in Leyte, all ferry services were canceled because storm signal no. 1 was raised over the area. I had to be back in Cebu in the evening so I was desperate. I had made a reservation on the 12:30 p.m. trip back to Cebu and was in the port at 9:30 a.m. in time for the 10 a.m. cut-off for reservations. Golden Breeze Shipping sells tickets at 8 a.m. on the day of the trip so they implement a reservation system for people who want to book early. This would later turn out to be a lifesaver. After confirming with the ship company that the fast craft was no longer traveling that day, I got their contact numbers and decided to try my luck in Ormoc. There are ship services in Maasin, Bato, Hilongos, Baybay and Ormoc going to Cebu but they usually leave in the evening. 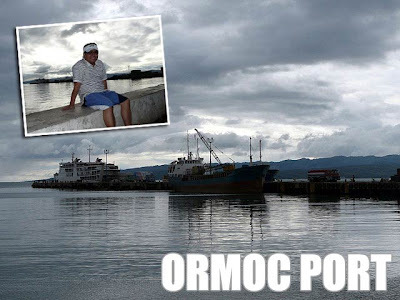 Ormoc has several daily fast craft trips as well. What aggravated the situation was that it was a very heavy travel day. It was the day when students, workers, and everyone else was trooping back to Cebu after the long vacation. So everything was fully-booked! Those with tickets on Sunday were unlucky because they had to rebook their tickets to the next available day. In Ormoc, the next available day was Tuesday! Now I know how it feels to take public transportation during the end of a long holiday. I had to go from one shipping company after another to check for space. But they were all fully-booked! When I realized there was no way I could travel yesterday, I remembered my reservation in Bato. So I called them up to find out what would happen to the reservations. It turned-out those who reserved on Saturday will be given first priority today. But again, I had to be there before the 10 a.m. cut-off. So this reservation was my earliest option back to Cebu. So after finishing my rounds of downtown Ormoc, I took a van back to Bato. Again, we waited in the van and didn’t leave the terminal until they stuffed us like a can of sardines, four people to a row! It was good several people went down along the way so I was able to transfer to the front and was comfortably seated for the rest of the trip. 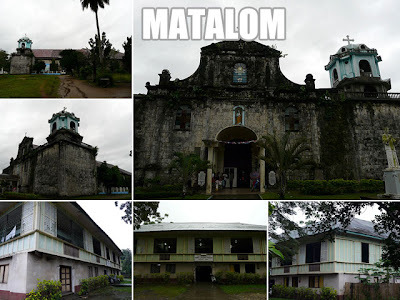 Bato is a relatively small town so accommodations are very basic. Someone had taken the only air-conditioned room in the pension house (which I expected with so many people stranded so I had to make do with an electric fan and stuffy air). I could have opted to stay in Maasin for the night but didn't want to risk staying far anymore. I was told that there was a ship leaving from Bato that night so I rushed to the port to see if I could get on it. But as expected, it was fully-booked and the only way I could have gotten on board was to battle it out with the horde of stranded passengers all hoping to get a seat on the ship. Even at the ticket booths, lining up did not exist. I think the port authorities should start instilling discipline by strictly enforcing queuing for tickets. So I decided to just go to bed since I was sure of getting a ticket on board the fast craft trip today. I called at 6:30 a.m. to make sure that there was a trip today. At 8 a.m., I was at the port. I noticed the other windows had people pushing their way to buy tickets. It was chaotic! I was comfortably seated but after seeing that, I decided to stand near the window of Golden Breeze so I was there before it opened which turned out to be a good decision. By the time they opened, there was a big crowd behind me and people started pushing to give their IDs or pieces of paper with their names on it. I thought they were giving it for new reservations but it turns out it was for the tickets. The lady was comparing the names on the IDs to the reservation list and would issue tickets if they were there. So I argued to the lady that I was second in line and she should issue my ticket first. Good thing she gave in seeing me in front of the window when she entered and recognizing me from the day before and immediately issued me a ticket. Port authorities really have to enforce order and discipline by requiring people to line up! After getting my ticket, I had to push and shove my way out since those at the back were jostling to get to the window. Since the trip was still at 12:30 p.m., I rested a bit at the hotel, explored Bato and discovered a local cassava-based puto cooked like puto bumbong. I was at the port at 11:30 a.m. knowing that getting a good seat would mean making sure I was first in line (I have motion sickness which is why I want comfortable seats every time I travel). By 12:30 p.m., the scheduled time of our departure, the boat had not arrived. So I called the office to check what happened. The boat was delayed since the first trip was delayed. There was a morning trip from Camotes to Cebu before the boat traveled from Cebu to Bato. 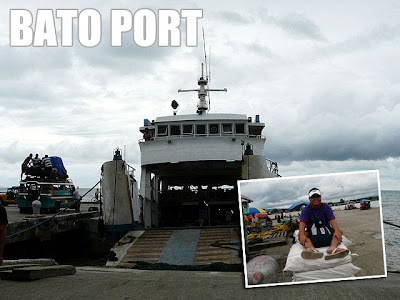 In Camotes, it was chaotic because even those without tickets rushed on board causing the Coast Guard to hold the ship. All passengers had to get off again and get on board properly and it took quite a while before the Coast Guard gave them the go signal to set sail. Talk about discipline! I guess people were desperate since Camotes was also included in the storm bulletin of PAGASA. But that was no reason to act stupid. Anyway, the new ETD was now 3 p.m. 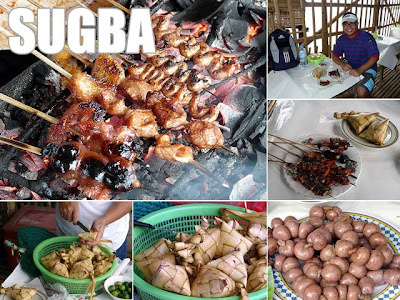 So I decided to have lunch at a sugba (ihaw-ihaw) hut at the port. I had isaw, barbeque and the local longanisa which they refer to as soriso. By 2:30 p.m., still no ship in sight so I called again and they said the ETD was now 4 p.m. It started to drizzle, so I decided to stay at the pension house and watch TV. I went back at 3:30 p.m. and took a nap on top of sacks of parafin wax while waiting at the port. At 4 p.m. still no boat. To make the long story short, it started raining when the boat arrived at 6:15 p.m. and I had to join the crowd of people all overly eager to get on board. We were all drenched! And as if to spite us, it stopped raining when everyone was on board. It was indeed an adventure and looking back, it was stressful while it lasted, but exciting and fun thinking about it. Having the contact number of the shipping company, or even better, the person at the ticket office or the company representative at the port, can come in handy in emergency situations. So if you think a storm is brewing or if it’s the end of a long holiday and everyone will be traveling back, you might want to ask for phone numbers to contact in case of emergencies. Since I had the mobile number of the port representative, it eased my anxiety and I was able to plan my options better. List down time schedules of various shipping lines so you can plan your options. It works well if you get delayed going back to the port. You’ll know if you can still catch a trip back or if you’ll need to come up with an alternative. Make sure to reserve or purchase your return ticket in advance, especially during long holidays. You don’t want to get stranded, believe me! Always check the weather forecasts. Remember that there is a new rule in place. The Coast Guard will not allow any marine vessel to travel when there is a storm signal raised even if it is sunny. Avoid traveling at the start and end of long weekends and holidays since everyone else is traveling. I usually avoid it. But I somehow forgot it in this situation because I was too excited and paid dearly for it. When taking a ferry service, it’s best to come early, especially if there are no assigned seats. Chance passengers will be waiting for no shows. So show up before the designated boarding time if you don’t want your slot given away. Expect the worst, hope for the best. You’ll always have to maintain an open mind, keep your composure and be patient if your trip does not go as planned. You’ll achieve nothing by being emotional and it will just add to your stress. Be ready to come up with a contingency plan. At the end of the day, when there is nothing else you can do, just make the most out of your situation. My time wasn’t wasted because I was able to explore more, discover some local fare, and got more than what I bargained for. 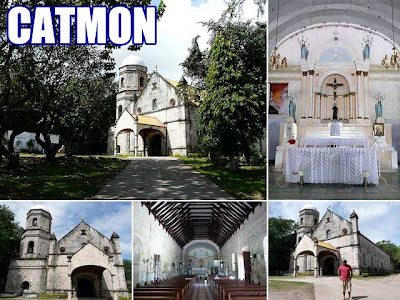 There are more churches to visit in Leyte and Southern Leyte. But given my limited time, I had to select the best-preserved ones. Since I had to be back in Bato by 10 a.m., I had to start the day early to visit Malitbog, also in Southern Leyte, which is a little over an hour from Maasin by public transport. The first bus passed by shortly after 4:30 a.m. and I was there a few minutes before 6 a.m. just in time to hear the church bells calling people to church for Sunday Mass. 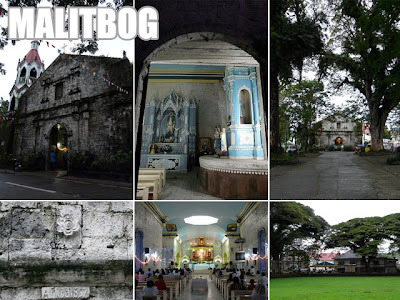 The church is one of the best-preserved churches in Leyte Island since even the main retablo and side altars are intact. Centuries-old acacia trees lined the street leading to the church. The town has several ancestral homes still standing and a watch tower that had been converted into the municipal police station and jail. Now that’s adaptive reuse! But I think the exterior should be improved since the old stone was painted over to sport that standard white and blue PNP look which looks bad on heritage structures. Since I was running after time, I took the first jeep going back to Maasin. Along the way is the town of Padre Burgos. I noticed a lot of dive resorts which is also frequented by foreigners. There are ruins of the old church in the town center but there is nothing much left so I didn’t stop over anymore. 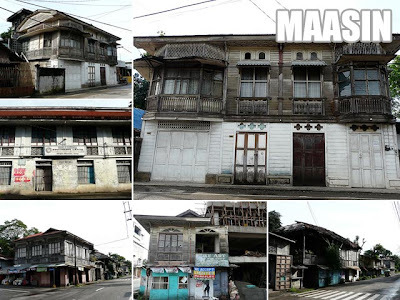 Back in Maasin, since the sun was out (it was drizzling yesterday), I decided to walk around and check out the old houses. I was depressed to see one of the better looking old houses giving way to another ugly nondescript building. We really should protect these architectural gems since they add character to our otherwise boring cities. I stopped by the Cathedral again before proceeding to the transport terminal to get a van back to Bato. They really stuff those vans like crazy! Each row had four people in it! I think the appropriate government agency should regulate these vans for overloading. Vans are much faster since the drivers like crazy as well (and not much stopping). So I was in Bato in a little over 30 minutes. I arrived at the port in time to find out that trips all over Leyte were canceled due to the typhoon. Although it was sunny in Leyte, PAGASA had declared signal number 1 all over the region. And with the new rule grounding all shipping services when there is a storm signal, despite it being a sunny day, all ferry services to Cebu from Maasin to Ormoc were not allowed to leave. So I was stranded! That story deserves another post. 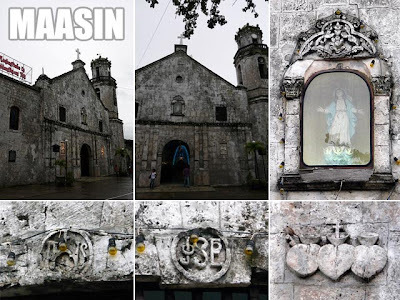 Anyway, I thus got to visit Baybay City which also has a well-preserved church (again with a modernized altar) a classic Gabaldon school and several ancestral homes. 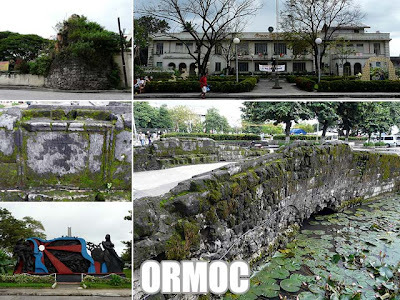 In fact, I reached Ormoc City trying to look for a ride back to Cebu and got to explore a good part of the city center. 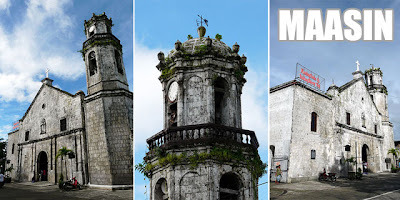 Nothing much is left of the Ormoc Church except for a remnant of a bastion that was part of the church fortifications. Behind the City Hall is an old Spanish-colonial bridge which I was happy to see was preserved for all to see. I went back to Bato, an hour and thirty minutes by van from Ormoc, where I decided to stay for the night.